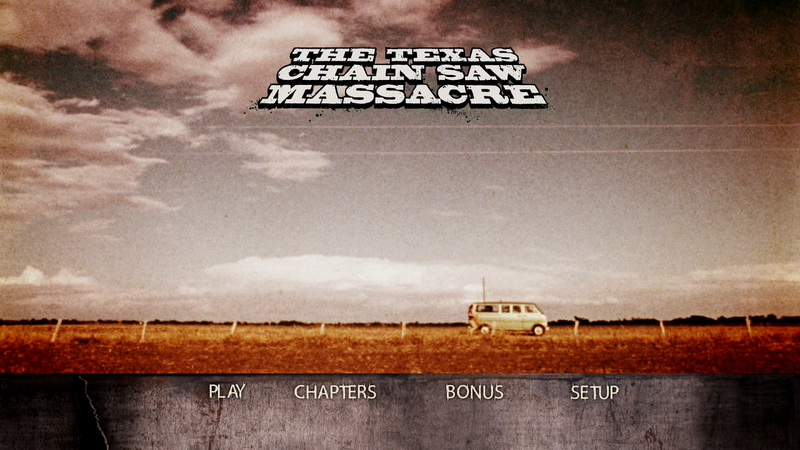 I'm not sure of the number of times I've discussed 1974's The Texas Chain Saw Massacre on this page. If we were to throw YouTube and Facebook into the mix than I'd bet we would end up hittin' the double digits. I adore TCSM and I have no qualms about it as it truly is one of the best horror films ever made. Period. While I love gimmick-laden editions it's very important to me that a horror film of this caliber is handled with great care, when the 40th anniversary edition was originally announced I feared it would just be a repackaging of 2008's release. I can honestly say that's not the case with this 2014 blu-ray. 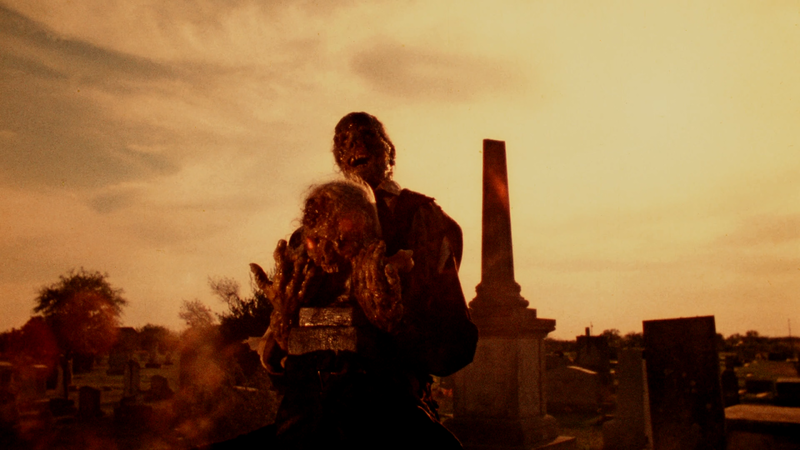 This is likely the best The Texas Chain Saw Massacre has ever and will ever look and sound. In 1974 a group of filmmakers set out to make an extremely low budget horror film, what they did was create a game changer. A horror film so gritty and unique that it took the world by storm. The film they made is the definition of lightening in a bottle. It can never be recreated, only mimicked. It is by my definition the perfect horror film. It's (The Texas Chain Saw Massacre) one of (if not the) first films to make people fear rural parts of the country. There are some extremely bizarre visuals in the film that (after all of these years) I've still yet to understand. The shot of the frothing cow, The rant of the old drunkard at the cemetery. "Things happen here about, they don't tell about. I see things. You see, they say that it's just an old man talking. You laugh at an old man, it's them that laughs and knows better." 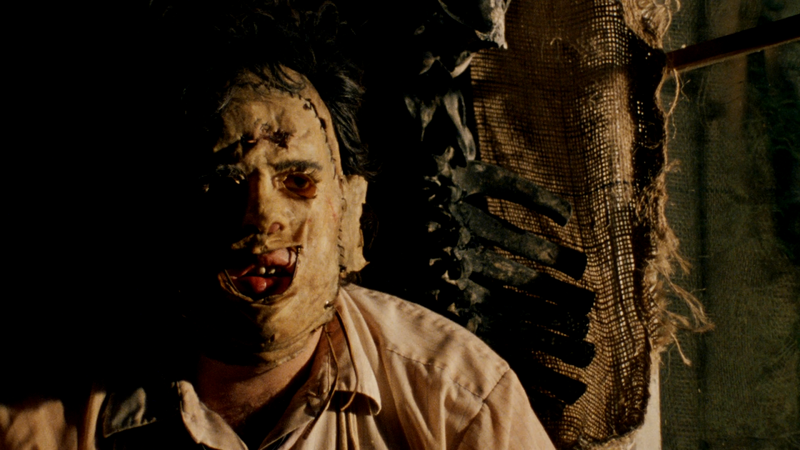 Then there's Leatherface, this was back when you could make a film without explaining every minute detail about a particular character. 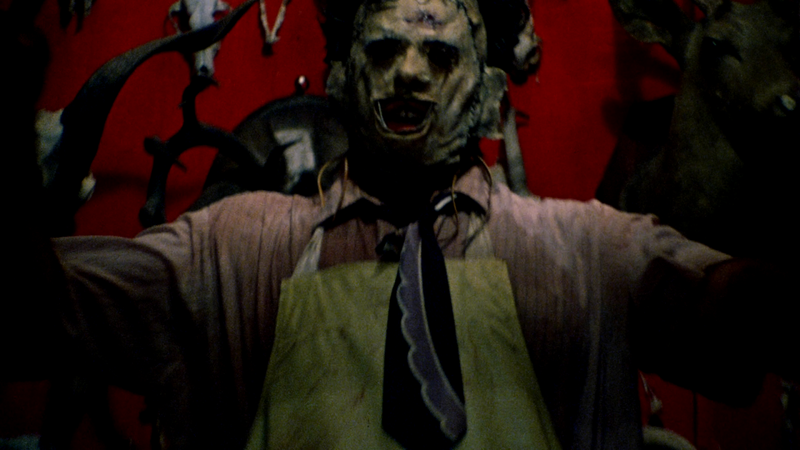 There is no back-story to Leatherface, he's literally dropped in the audience's lap. I can only imagine what is was like seeing this in theaters during the early 70's, the sheer insanity of everything must have been a lot to take in. What an odd and deranged viewing experience The Texas Chain Saw Massacre offers, it's still shocking after all these years. What a solid release. Keep in mind this film was made over 40 years ago and filmed on 16mm, that statement alone should let you know where to set the bar. With that said, Dark Sky Films has not just met my expectation but surpassed them. Natural grain, great colors, depth, and detail, the remastered print looks excellent. In comparison to their 2008 release there's a noticeable difference. This release is worthy of the upgrade, no question. How spoiled are we as horror fans to receive this edition along with Grindhouse Releasing's Cannibal Holocaust blu-ray all in the same year. The audio also manages to please, this time there are a few different options. The newest being a remastered 7.1 DTS HD track that sounds incredible. All of the macabre SFX have never been so noticeable. Also included is a 5.1 DTS HD track and an original mono option. The Texas Chain Saw Massacre: The Shocking Truth (01:12:49 SD) - It's very cool of Dark Sky Films to include The Shocking Truth (David Gregory) as a bonus feature on this set. The documentary was filmed in 2000 and features a number of interviews with the cast of the film, including interviews with actors that are unfortunately no longer with us. Flesh Wounds: Seven Stories of the Saw (01:11:42 SD) - Carried over from Dark Sky Film's past TCSM release Flesh Wounds is an excellent featurette that's split up into seven parts; seven different interviews. A handful of cast and crew members make an appearance and there's also a nice little section dedicated to the convention circuit. A Tour of the TCSM House with Gunner Hansen (08:03 SD) - This one is pretty self explanatory. 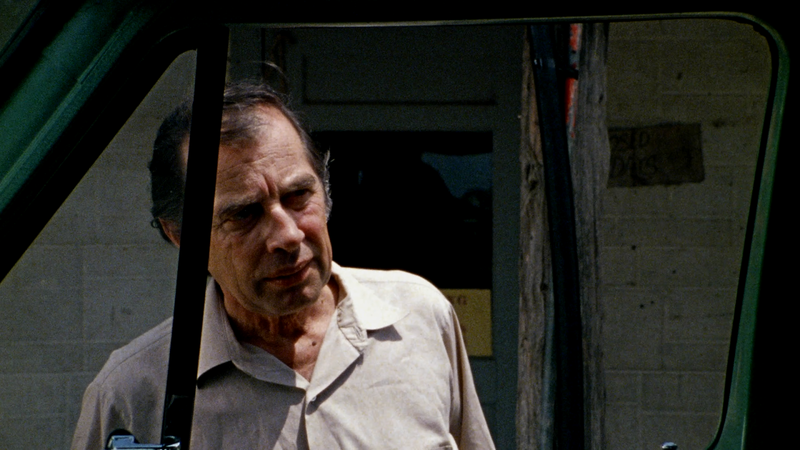 Filmed in 1993 Gunner Hansen gives viewers a guided tour of the dreaded house! Off the Hood with Teri Mcminn (17:02 HD) - A nice lengthy interview with an actress who's pretty candid about their experience during the film's production. 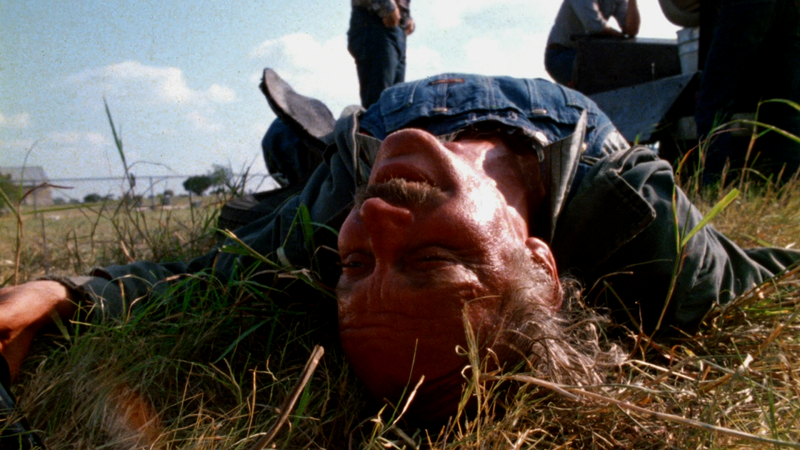 The Business of Chain Saw: An Interview with Production Manager Ron Bozman (16:27 SD) - Ron Bozman discusses one of his first production management gigs, The Texas Chain Saw Massacre. Grandpa's Tales: An Interview with John Dugan (15:48 HD) - Grandpa talks 'Saw! The actor discusses how he became involved with the film along with going into a few funny anecdotes that took place during the filming of the feature. Cutting Chain Saw: An interview with Editor J. Larry Carroll (10:47 HD) - A brief interview with Carroll; The editor discusses his early career - how a training video kicked off his relationship with the young director. Blooper Reel (02:22 SD) - Another wonderful addition to the set! Just a series of short mishaps ranging from forgetting lines to Franklin falling out of his chair. Outtakes from "The Shocking Truth" (07:40 SD) - A number of short outtakes from the documentary, most of these were likely just trimmed for time. Horror's Hallowed Grounds: TCSM (20:19 SD) - I was really excited to hear this made it onto the set! Sean Clark explores a number of filming locations including the creepy Badgad Cemetery! DR. W.E. Barnes Presents "Making Grandpa" (02:45) - A look into the creation of Grandpa through a series of photographs. 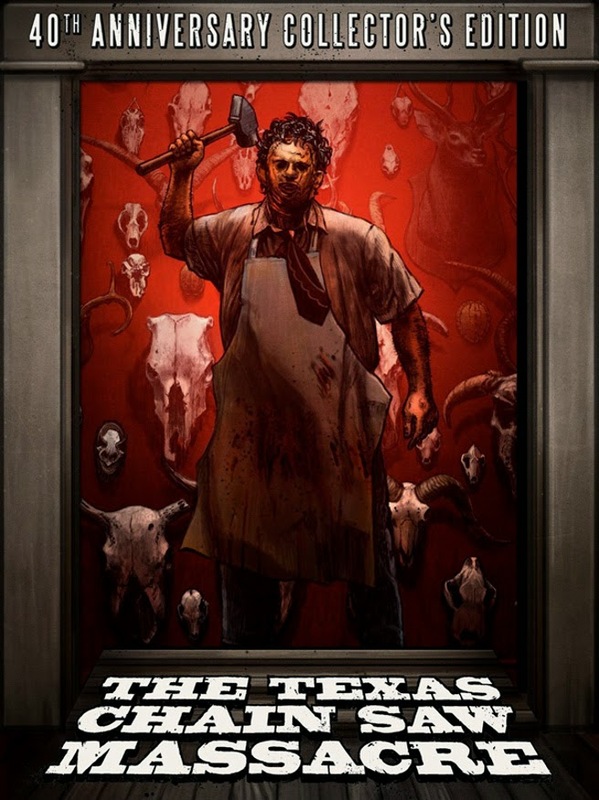 Dark Sky Films has given The Texas Chain Saw Massacre an amazing presentation, it's clear this was a well though out release from a company that's passionate about the genre. The company has everything covered from the PQ/AQ, to the features, all the way down to the packaging. This is an incredible release and a must own!